cementJCA! 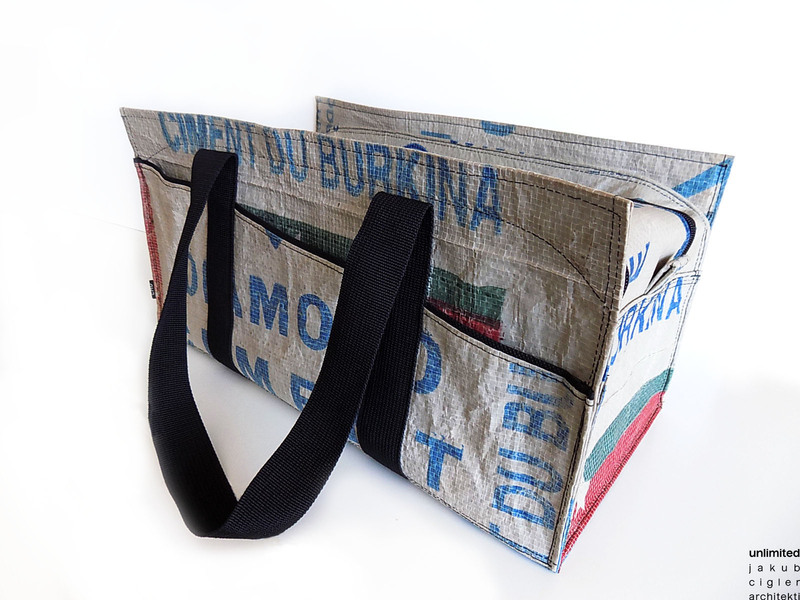 Bags and accessories made in Burkina Faso. 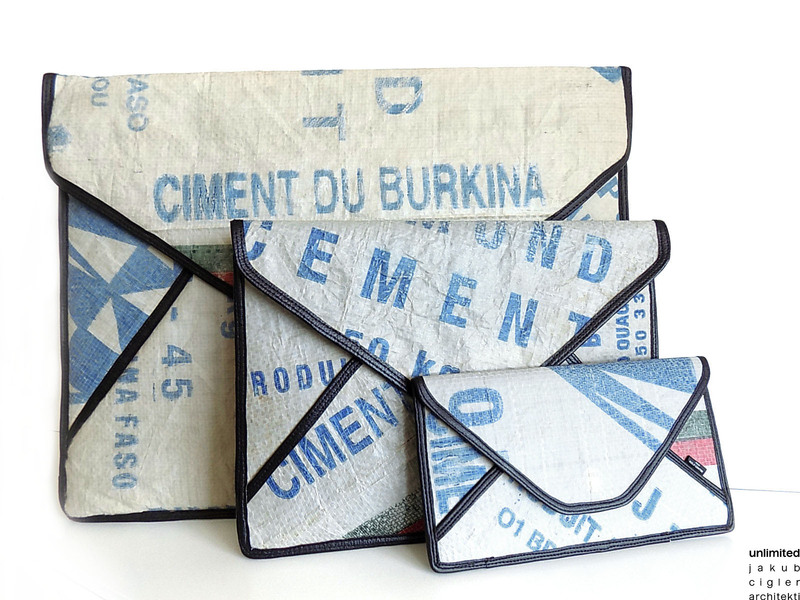 Reused cement bags. A stylish collection reflecting the sustainability of worldwide consumption, local craft ingenuity and the good design accessibility. An accompaniment of architectural activities of unlimitedJCA in the region. A tool of engaged and conscious fundraising. 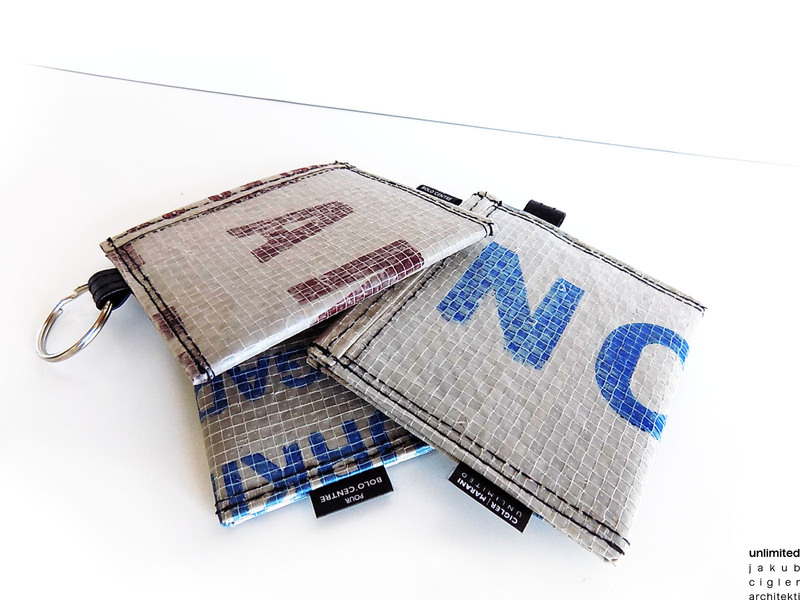 Our goal is to raise public awareness and to connect good design with an economic empowerment and a sustainable income to artisans in the country. We build strong relationships with them, but with our consumers personally as well. Bringing the pleasure to everybody broaden our understanding of anyone´s needs. “catalogue_cementJCA pour bolo´centre“ – today the profit of the collection is entirely dedicated to the project of a cultural community centre in Bolomakoté “Bolo´Centre”, its preparation and the construction itself. 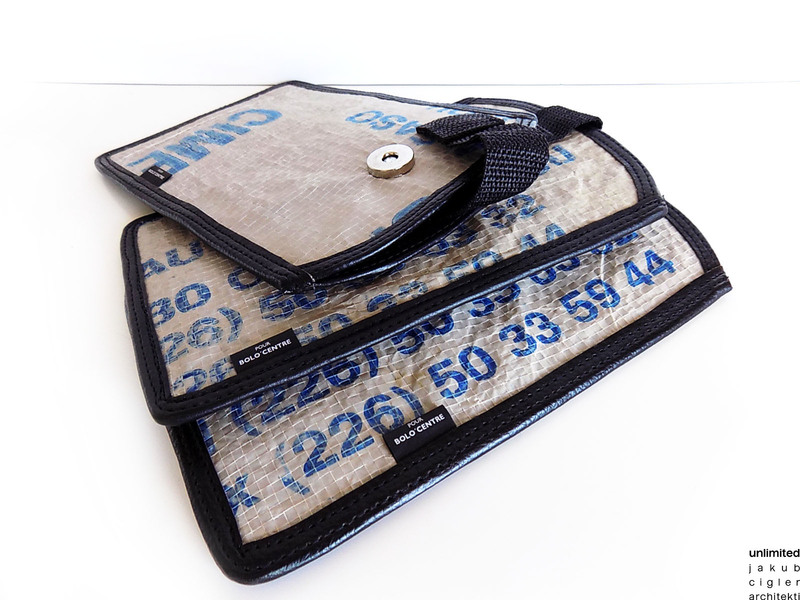 The assortment brings handbags, travel bags, vanity bags, briefcases, wallets, document pockets, computer and tablet sleeves, cycling panniers… all made of reused cement bags from local construction sites. Perceived as a keepsake for engaged public it brings a story and environmental lesson. The project of Bolo’Centre is designed by unlimitedJCA for, together and with local association Bolo´Arts and it aims to build a multipurpose space serving as a community art center for the district of Bolomakoté. 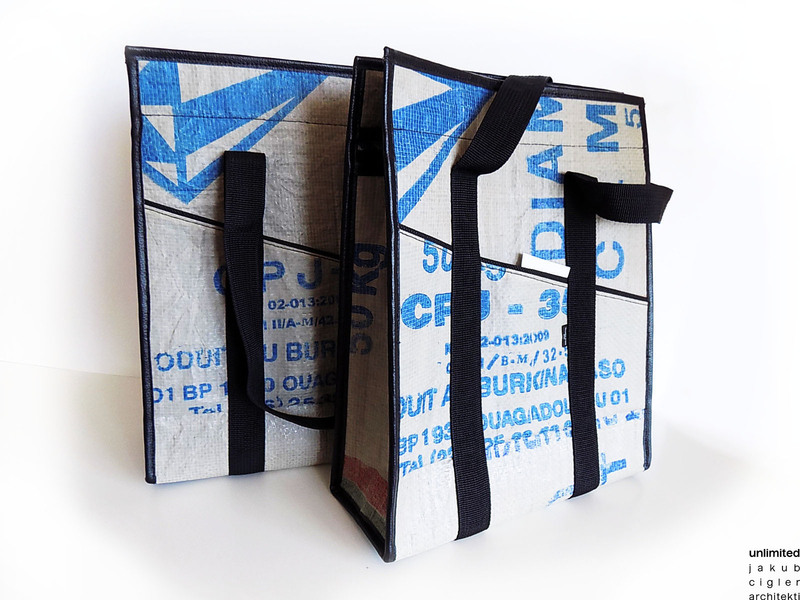 The Bolo’Centre will cover various activities including fields artistic, educational, sport, community and socio-entrepreneurial (production of CementJCA bags included). In detail, the compound will provide so-called “elastic” hall, rehearsal room, equipment storage, space for the secretariat of the association Bolo’arts, workshops on a terrace, a library, café, sanitary equipment and accommodation for visiting artists and association partners. On behalf of everybody involved in the project cementJCA, thank you for your support.